Here Are the charities for RGB LAN 3! It hasn’t been long since our last event, and what an event that was!We aren’t content to rest on our laurels, though. During RGB LAN 2 we announced our third event: RGB LAN 3: Revenge of the LAN coming October 19-21. The even is going to be our biggest one yet, and today we’re announcing the new charities. Hopeworks partners with young people in communities dealing with violence and poverty, bringing them together for education, training, and mentorship in technology and entrepreneurship. The organization aims to create a safer way forward for these young people so they can make positive choices, support their communities, rise in their careers and – most importantly – heal. Hopeworks has pledged to show their support in person at RGB LAN 3. 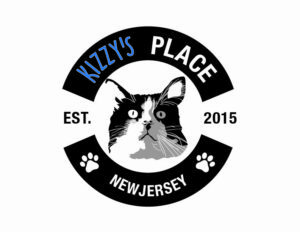 Kizzy’s Place began after four animal advocates, who had been involved in cat rescue for a while, were inspired to combine efforts. Each wanted to help a cat named Kizzy, who was on the urgent list at a local shelter, but each realized that they could not help Kizzy alone. The advocates each handled a piece of the operation, resulting in a successful rescue effort! These advocates noted that rescue groups sometimes need a little extra help to take care of the animals but also to get the word out. This is what Kizzy’s Place provides: a network of friends to mutually assist each other! They currently have a network of several foster homes that care for Kizzy’s Place adoptables as well as a couple other group’s cats. 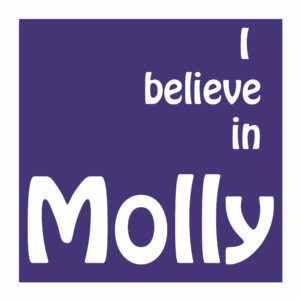 Miracles for Molly is a non-profit organization founded in memory of Molly dunne who passed away on May 17, 2012 at the age of seven. Molly was incredibly determined and lived life to the fullest despite a terminal illness and many debilitating side effects. The foundation is committed to the education and awareness of Palliative Care. Palliative Care is a form of comfort care for someone living with a chronic illness, and the Miracles for Molly Foundation believes we all have an enormous ability to help each other, and that the smallest act of kindness can have a big impact. Their hope is that all children along with their families and siblings, will have access to palliative care. Funds raised benefit The Thomas P. Ferry Palliative and Supportive Care Team at Nemours|A.I. DuPont Hospital for Children as well as provide direct financial support to children and their families. Are you interested in helping out these charities? Registration will be opening soon, so make sure you take a look at their websites and choose what charity you want to champion! Share this post around and make sure you take a look at our Facebook, Twitter, Instagram, Twitch, and join us in Discord! And of course, keep being awesome.